Export and its Components: In 2015 and 2016Q1, overall export earnings declined significantly to a record low of less than $3000 million in 2016Q1, as against the peak of above $10,000 million in 2008 and 2013. 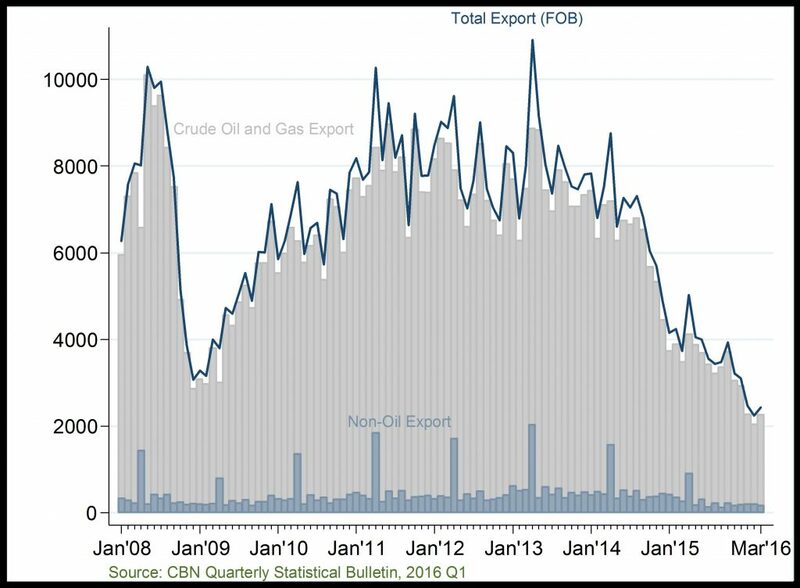 This is largely on the account of falling crude oil price, production and export. 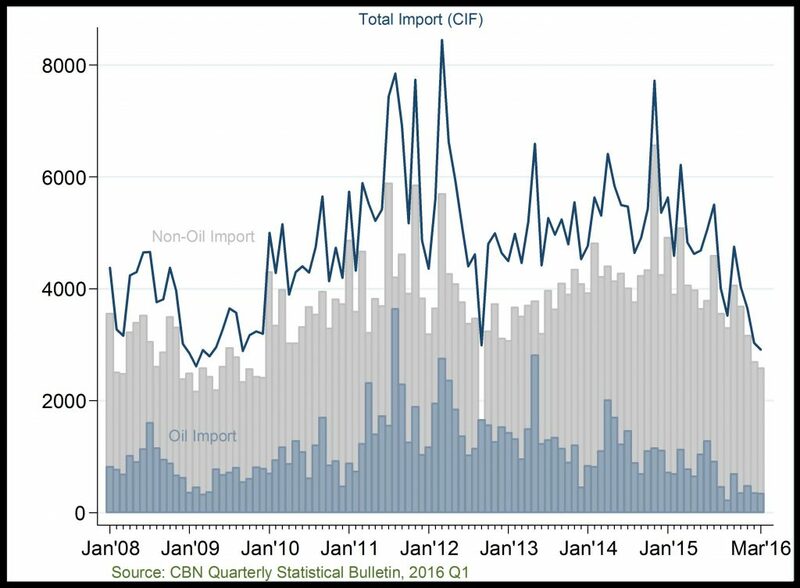 Import and its Components: Overall import declined considerably in 2015 and 2016Q1, due to the scarcity of FOREX and depreciation of the naira which made imports highly expensive.